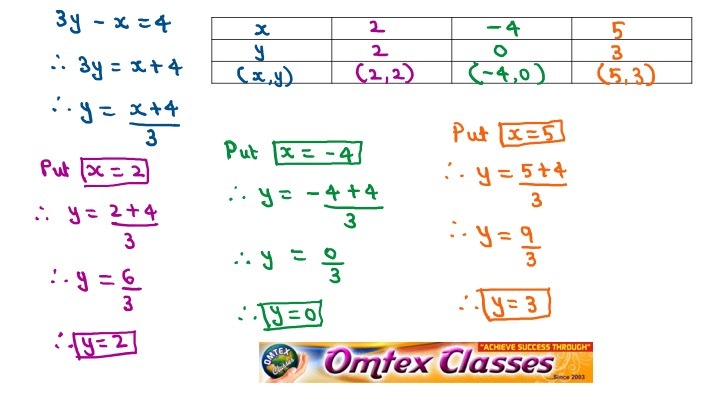 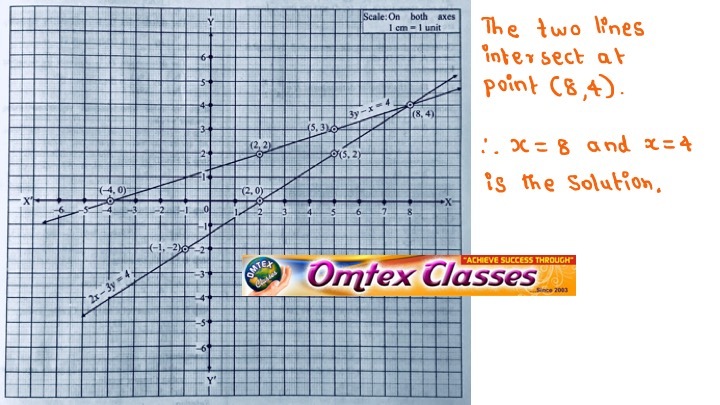 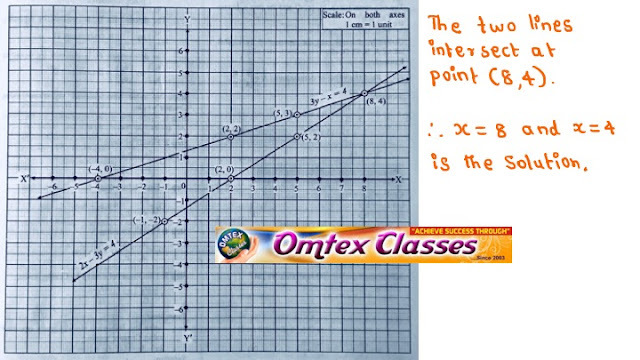 OMTEX CLASSES: 2x – 3y = 4 ; 3y – x = 4. Solve the following simultaneous equations graphically. 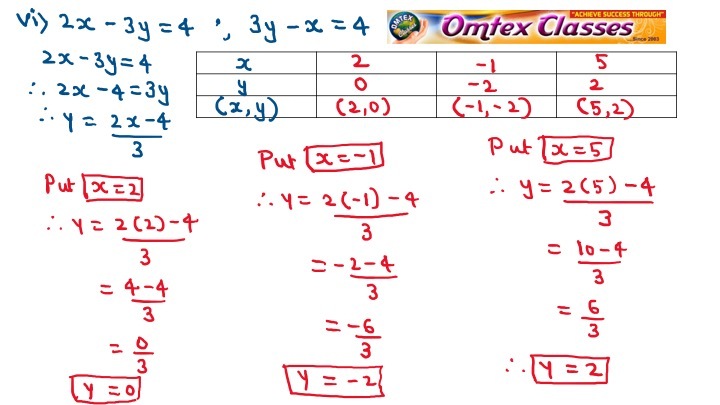 2x – 3y = 4 ; 3y – x = 4. Solve the following simultaneous equations graphically.